The widespread Conficker computer worm has crawled into hundreds of medical devices, including MRI systems, at dozens of hospitals in the United States and other countries. The San Jose Mercury News reported that the worm has not resulted in causing harm to patients, but poses a potential threat to hospital operations. "A few weeks ago, we discovered medical devices, MRI machines, infected with Conficker,"Marcus Sachs, director of the Internet Storm Center, told Mercury News. The Internet Storm Center is an early warning system for internet threats that is operated by the SANS Institute in Bethesda, Md. 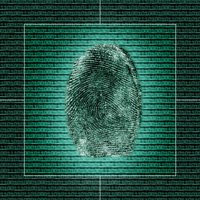 Around March 24, researchers monitoring the worm noticed that an imaging machine used to review high-resolution images was reaching out over the internet to get instructions - presumably from the programmers who created Conficker. The researchers discovered that more than 300 similar devices at hospitals around the world had been compromised. Because the machines were running an unpatched version of Microsoft's operating system used in embedded devices, they were vulnerable. Normally, the solution would be to install a patch, which Microsoft released in October 2008. However, the device manufacturer said rules from the FDArequired that a 90-day notice be given before the machines could be patched, theMercury News reported. "For 90 days, these infected machines could easily be used in an attack, including for example, the leaking of patient information," said Rodney Joffe, a senior vice president at Neustar, a communications company that belongs to an industry working group created to deal with the worm. "They also could be used in an attack that affects other devices on the same networks." Conficker spreads by copying itself onto machines running Microsoft's Windows operating system that lack the security patch. Conficker installs itself and periodically reaches out for directions from its maker that cause it to rewrite its code, increasing its capabilities for malicious action and decreasing its chance of detection. "Hopefully the malware writers didn't have a lot of insight into how these medical devices work," Patrik Runald, chief security adviser for F-Secure, a Finnish computer-security company, told Mercury News. Runald said the worm had also been found at a hospital in Sweden and several hospitals in England earlier this year. Joffe, who testified before Congress on May 1, asked lawmakers to remove the barriers to coordination between federal agencies so cyber threats, like Conficker, can be addressed. SAN FRANCISCO – President Barack Obama’s plan to impose U.S. taxes on corporate America’s overseas profits threatens to open a big crater in the financial statements of technology companies. While additional taxes are rarely popular, Obama’s decision to go after corporate earnings outside the United States is a particularly prickly subject for technology executives because the industry has been steadily boosting its overseas sales amid rising demand for its gadgetry and services. If Obama’s proposal becomes law, the hard-hit companies would include tech bellwethers like Hewlett-Packard Co., IBM Corp., Cisco Systems Inc., Microsoft Corp. and Google Inc. Each of those companies realized a benefit of more than $1 billion from lower foreign tax rates in their most recent fiscal years – an advantage that could lost if Obama is able to change the rules. Collectively, HP, IBM, Cisco, Microsoft and Google lowered their tax bills by a combined $7.4 billion in their last fiscal years by taking advantage of lower tax rates outside the United States, according to an analysis by The Associated Press. Through the years, these five tax companies have avoided U.S. income taxes and foreign withholding taxes on a combined $72 billion in undistributed earnings from their foreign operations. While Obama’s proposal might not tax all the money U.S. companies keep overseas, it apparently would target a big chunk. Obama estimated his plan would raise a total of $210 billion, or an average of about $21 billion annually, over a 10-year period. By reinvesting their earnings overseas, U.S. companies insulate themselves from much higher tax rates had the money been made in their home country. Google, for instance, would have been hit with an effective tax rate of 45.2 percent instead of 27.8 percent last year if it hadn't been able to capitalize on lower rates overseas, according to the Mountain View-based company’s annual report. Without the lower foreign rates, Google’s 2008 tax bill would have been $1.02 billion higher. Google’s income before taxes totaled $5.85 billion last year. Obama has been strongly supported so far by Google CEO Eric Schmidt, who campaigned for the president last year and has subsequently served as a technology adviser. Faced with slumping sales and stinging criticism from competitor Microsoft over its high prices, Apple is reportedly going to try a price cut to spur its computer sales. While Apple’s general sales have been saved by its iPhone, its computer sales, both for laptops and desktops have slumped. It is still earning more profit than some competitors thanks to large profit margins, but as losses continue, the company is becoming increasingly concerned. 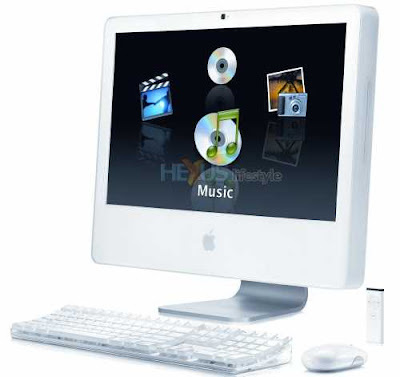 Apple-specific blog Apple Insider reports that “people who've proven extremely reliable in predicting Apple’s future business directions” have let slip that Apple will cut the prices of its most popular desktop and laptop models — the iMac and the 13 in. MacBook. However, the company is looking to possibly deploy a web or media tablet, according to reports. Steve Jobs himself is reportedly working on the device, which may or may not be the tablet rumored to becoming to the Verizon network as a Wi-Fi phone. Windows 7 has the tech community and the consumer world buzzing. For consumers, it has been a long four months since the release of the Windows 7 beta which saw hundreds of thousands of downloads. Some turned to torrents to try to swipe the newer beta builds or the recent Release Candidate, but for most it was a matter of waiting. The waiting is over at last as Microsoft has officially released the Release Candidate 1 build of Windows 7 to the general public. The build is available directly from Microsoft for download. Microsoft is suggesting that novice users not download the build as no tech support will be provided. Customers who download the build will have to burn the ISO onto a disk. Unlike the more recent beta candidate builds, the RC1 build requires a complete reinstall, even on machines with a working build of Windows 7. Both 32- and 64-bit versions of the build are available. Microsoft recommends users’ computers have at least 1GHz processor, 1GB of RAM and 16GB of free disk space. Microsoft is promising not to limit the number of downloads of the new release, like it initially did for the beta release (before later relenting and allowing unlimited downloads). The beta release proved a headache for some, as the large demand crashed some of Microsoft’s servers at the time, rendering many eager users unable to download the beta from Microsoft. Microsoft is hoping that this time around things go more smoothly. 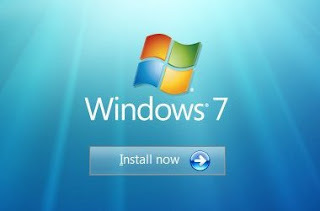 The test builds of Windows 7 will work until June 2010, but starting in March 2010 they will shut down every two hours. Microsoft has publicly stated that Windows 7 will launch “no later than January 2010.” However, it now appears that the new OS will land in time for the holiday season, as Acer has leaked its release date as October 23. "THE MOON" with the history of the early solar system etched on it beckons mankind from time immemorial to admire its marvels and discover its secrets. Understanding the moon provides a pathway to unravel the early evolution of the solar system and that of the planet earth. Through the ages, the Moon, our closest celestial body has aroused curiosity in our mind much more than any other objects in the sky. This led to scientific study of the Moon, driven by human desire and quest for knowledge. This is also reflected in the ancient verse. Exploration of the moon got a boost with the advent of the space age and the decades of sixties and seventies saw a myriad of successful unmanned and manned missions to moon. This was followed by a hiatus of about one and a half-decade. During this period we refined our knowledge about the origin and evolution of the moon and its place as a link to understand the early history of the Solar System and of the earth. However, new questions about lunar evolution also emerged and new possibilities of using the moon as a platform for further exploration of the solar system and beyond were formulated. Moon again became the prime target for exploration and a new renaissance of rejuvenated interest dawned. All the major space faring nations of the world started planning missions to explore the moon and also to utilize moon as a potential base for space exploration. The idea of undertaking an Indian scientific mission to Moon was initially mooted in a meeting of the Indian Academy of Sciences in 1999 that was followed up by discussions in the Astronautical Society of India in 2000. Based on the recommendations made by the learned members of these forums, a National Lunar Mission Task Force was constituted by the Indian Space Research Organisation (ISRO). Leading Indian scientists and technologists participated in the deliberations of the Task Force that provided an assessment on the feasibility of an Indian Mission to the Moon as well as dwelt on the focus of such a mission and its possible configuration. The task force recommended that given the technical expertise of ISRO it will be extreme worthwhile to plan an Indian Mission to the Moon. It also provided specific inputs such as the primary scientific objectives of such a mission, plausible instruments to meet these objectives, launch and spacecraft technologies that need to be developed and suggested the need for setting up of a Deep Space Network (DSN) station in India for communication with the lunar orbiting spacecraft. The team also provided a provisional budgetary estimate. The Study Report of the Task Team was discussed in April 2003 by a peer group of about 100 eminent Indian scientists representing various fields of planetary & space sciences, earth sciences, physics, chemistry, astronomy, astrophysics and engineering and communication sciences. After detailed discussions, it was unanimously recommended that India should undertake the Mission to Moon, particularly in view of the renowned international interest on moon with several exciting missions planned for the new millennium. In addition, such a mission will provide the needed thrust to basic science and engineering research in the country including new challenges to ISRO to go beyond the Geostationary orbit. Further, such a project will also help bringing in young talents to the arena of fundamental research. The Academia, in particular, the university scientists would also find participation in such a project intellectually rewarding.